Some parents try so hard to keep their child’s attendance regular in school but all efforts go in vain.There could be many reasons for why a child might not be willing to completely devote themselves in education. Why is my child irregular in school? The most common causes are underlying learning difficulties, behavioral or emotional issues of students. But these are not the only reasons for incomplete engagement in education of students. Those children who refuse to attend school experience emotional distress not only when they attend school but also even at the thought of attending the school. This could stretch the absentees of the child from weeks to even months at a time. One must not confuse truancy with being absent, as the children generally stay at home while their parents know about it. They do so despite the efforts of their parents. The ignorance of your child towards attending school can turn everything at home upside-down. The parents generally are not able to address it in a proper way and thus, end up disrupting their routine. It might be intimidating to identify the main reason for your child’s absentees and sometime a number of factors could be contributing. Parents need to intervene their child at an early stage as if absentees are ignored for long time then its impact will be on the child’s social and emotional development, academic achievements and vocational opportunities. If you are concerned that your child is developing a habit of not going to school then you should seek help from professionals. You should reach out the teacher and well being staff at your child’s school. Most of the children and adolescents love going to school and they enjoy this opportunity. However, most of the students become reluctant to attend school or develop anxiety about school activities e.g. camping. Also, it is perfectly normal to feel anxious at some point of one’s life when facing a difficult situation. But it can become a problem if it persists for a long time and consequently prevent a person from enjoying normal life experiences for a long span of time. 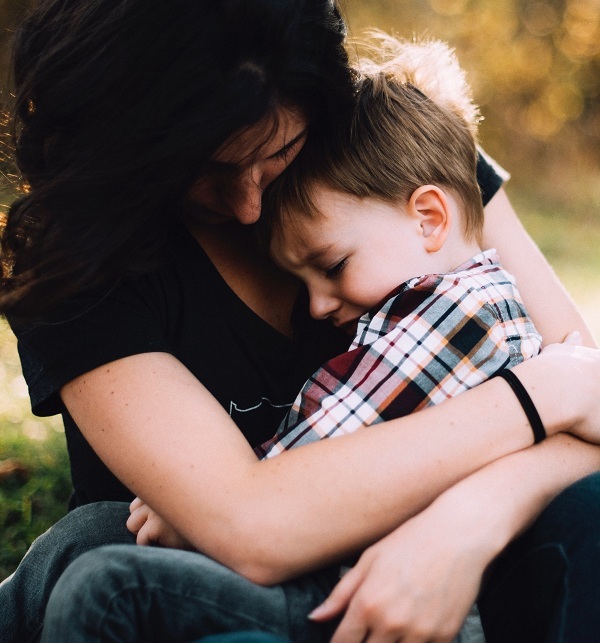 There are many effective ways in which you can help your child fight his anxiety and as a result developing the child’s self-esteem and resilience. Psychosomatic symptoms before going to school like nausea, stomach aches, headaches, or lack of breathing. These symptoms fade as the threat is removed. Crying, being clingy or fidgeting when nervous. Problem in falling asleep, nightmares or trouble in sleeping alone. Developing fear and negligence for a range of different issues and situations. 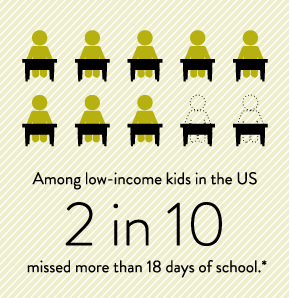 Why is it that some children become anxious at the thought of going to school? Anxiety can affect children of any age. Every child has different causes for feeling anxious which differs for teenagers and young children. How can I talk about it to my kid? You should not dismiss your child’s anxiety but help them realize that the situation that they are stuck in is not as bad as they presume it to be. Keep calm –as it will allow you to be more rational when talking to the child. Never show it to your child that you are worried as this will only aggravate the problem. Understand your child’s feelings –everyone gets a little scared at some time in in their life and it’s perfectly natural. Don’t make your child feel like nobody understands them. Talk about possible scenarios, their respective outcomes and ways to handle situations to help your child get better at solving problems. Help your child and care for them but don’t give them the feeling that you are going to fight their battles for them. Some kids with anxiety love it when someone comforts them by doing their work and if you do the same, then they never learn how to cope up with things. In addition to this, it also creates a perception in their mind that they are helpless and somebody else has to rescue them. Make your child understand that everyone makes mistakes and they are the best ways to learn & grow. Be on time when picking up or dropping off your child from school. Solve the problems that might be causing anxiety with your child. For example, if your child does not like to enter the school from front entrance then use some other entrance or get them a friend. If they don’t like to socialize in the yard before school starts then try to drop them at the time just before the bell rings. Encourage your child to attend school even if they are late and assure them that you will contact the school and explain the issue. Get an appointment with a General Physician when your child reports persistent physical complaints. There should be a clear agreement between parents that school attendance is mandatory, communicate this is in a very clear and calm manner to the child. Reward your child for appropriate behavior and do not unintentionally reward avoiding school. Stay clear when giving instructions & requests and consistent with the consequences. Get involved in the school via school council or the school canteen. 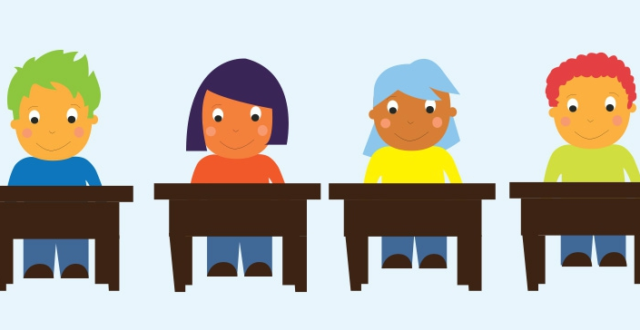 Help your child with the homework, studies and modeling skills for being more independent. Ask for assistance from the school –they have assistance and support for helping students. The earlier you talk to your child’s school about concerns, the better things get. These are some techniques that you can try upon your child if he is reluctant to attend the school. 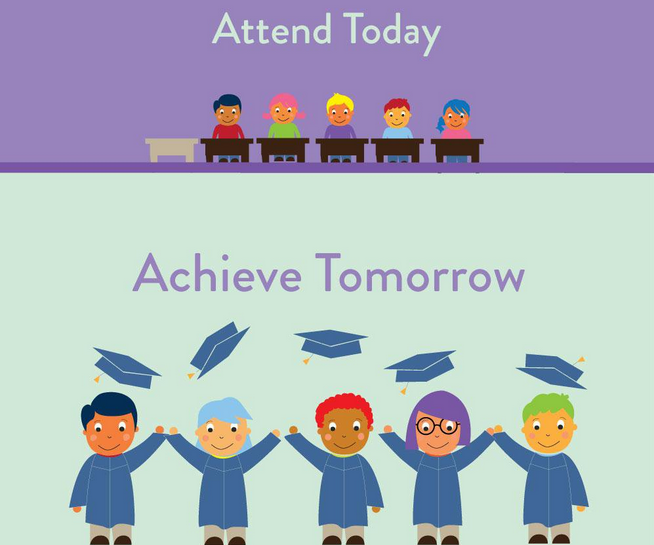 Attendance related concerns should be addressed promptly and set up a good pattern in adolescence, these things lead to better educational and social outcomes for your child. If you are concerned, then act early. 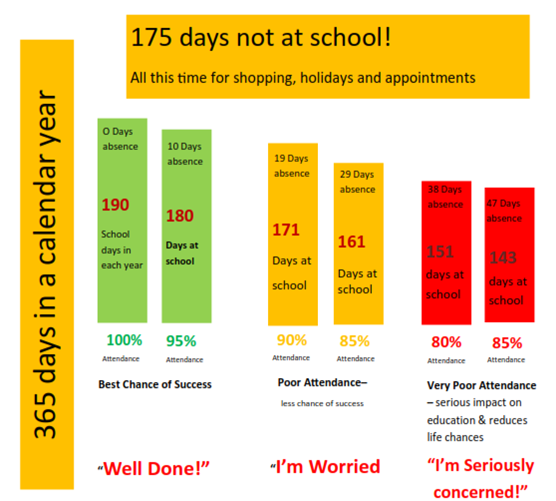 Discuss why attending the school every day is important and make it the expectation. Regularity in school instills the habit of being regular for future workplaces and other life commitments. Lest the child is genuinely sick, don’t let him stay at home. Complaints about headache and stomach ache could be symptoms of anxiety. As mentioned before, reward good behavior and don’t unintentionally reward unwanted behavior –like you should not give your child access to their devices and internet when they do not go to school. Make sure that you are a good role model. The way you treat your commitments has a lot to do with their way of meeting their commitments. Assist your child in maintaining a stringent routine that includes doing the homework and getting a good sleep. Researches show that primary school aged children need about 10 to 11 hours of sleep while teenagers should sleep at least for 8 to 9 hours to be alert. Monitor the usage of internet by your child. Keep a tab on the usage of mobile phone, internet, and TV during night. Ensure that they don’t stay awake for too much time. Examine the way your child sleeps –the room should be cool and dark sans TVs, mobile phones or laptops. Talk to your child about his/her day at school. What are their feelings for the school? What they find interesting at school? Is there any problem? You should open these discussions in a relaxed way to teenagers, they should feel that you are concerned and not being authoritative. The best time to talk is when you two are doing something together like when you are driving, preparing dinner or going for a walk. There might be times when your teen would avoid talking; just let them know that you are ready to listen whenever they want. Ask your child to join only those extracurricular activities which he/she truly enjoys, such as sports and clubs. These activities develop positive relationships and set up an experience of success outside the classroom. The activities and clubs will make your child feel that they are part of the group, important for the school and motivate him to be regular. For teens, acquaint yourself with every social contact your teen has. Wrong peers can lead to skipping school, and not having peers can make your teen feeling isolated. You should regulate your child’s part-time work. It’s your duty to ensure that the number of hours your child work does not has to affect his/her ability to go to school the next day, or should not interfere in any way with school’s assessment, homework, and exam preparation. The recommended time is 10 hours per week. Avoid making hair, dental or medical appointments during school hours; all of these appointments should be done after school. Schedule your family vacations during school holidays, your child will not miss any classes and won’t feel lagging behind others. If being absent from school for a longer period is necessary then you should contact the teacher for what topic was taught. Become familiar with your child’s school policies related to attendance. These policies can help when you are trying to give assertions to a child who refuses to attend school. Keep a tab on your child’s attendance and his/her performance at school. Ask his/her teacher from time to time about the performance. Trying to call several teachers is hard so, you should try to email them. There are times when your child has a very lengthy assignment to complete and he/she would ask you to stay at home for one day, you should ask them to attend the school and make attendance the number one priority. Later, teach them how he/she can improve study efficiency and advance his/her management. Many schools have an assessment calendar on their website, you should take help of it to get your child schedule things in such a way that he/she does not end up working late the night before the assignment is due. Additionally, you should talk with school staff to find out the support your child’s school can provide to keep your teenager’s attendance regular and engage them in school activities. The situation could become tougher to manage, at such times reach out to professionals who help children with anxiety issues. You should contact all the relevant personnel from school who can help you out with your concerns. They are the best people to address those issues which can be solved by the school. Refer your child to school’s counseling services and recommend taking support from professionals. If the school does not have such services, then you can also consult your general physician to assist you by referring you to a good mental health professional help such as a psychologist, psychiatrist, or therapist. These professionals are highly skilled and can definitely help your child overcome anxiety using mindfulness, boosting self-confidence and self-esteem. They can help alter the way your child perceives his/her problems.